Compete in the first Mexico Series Event that lasts 72-hours to earn Breakout Legend Tony Perez (Gold, 80 OVR). 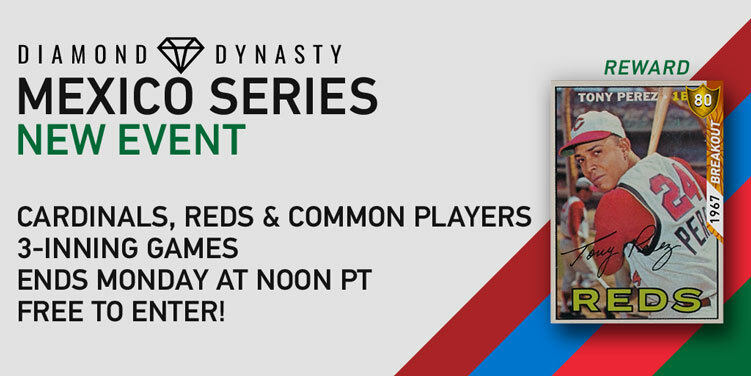 Only St. Louis, Cincinnati, and common-rated players can participate in this Diamond Dynasty Event. Need some extra help in the outfield? Then start with the Mexico Series Warm-up Moments and earn yourself a Rookie Flashback Randal Grichuk (Silver, 78 OVR) before you build your Event lineup. 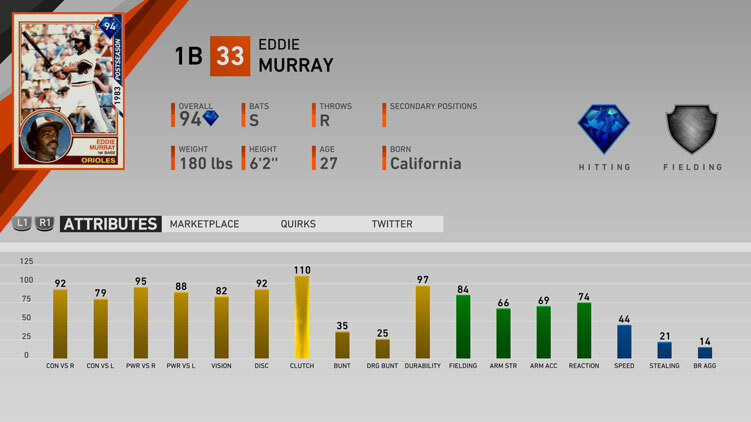 The third set of the Headliners Pack features Legends Andre Dawson (Diamond, 92 OVR) and Eddie Murray (Diamond, 94 OVR). Each pack contains one guaranteed Silver player plus three other player items. 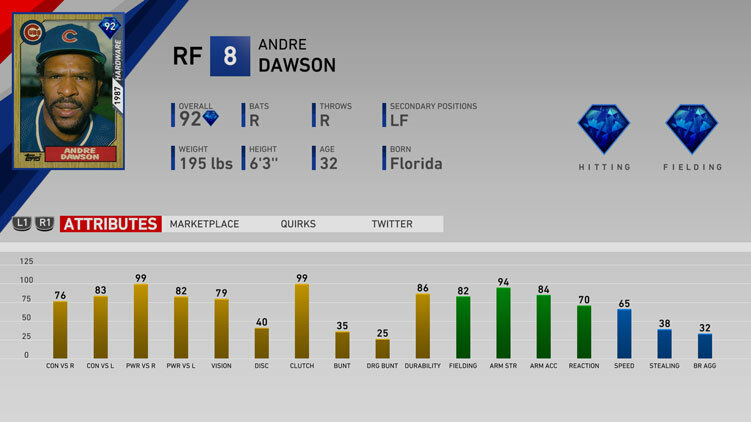 Increased chance to find Andre Dawson and Eddie Murray! Previous Featured Headliners can still be found in The Show Pack (with Bryce Harper in a Phillies uniform) and bundles in the Show Shop. You can purchase these packs in the Show Shop for 7,500 Stubs. Limit three per account. On April 2nd, Zack Greinke dominated the Padres with both his arm and his bat. He struck out 10 batters in six innings and hit not one, but two home runs! Celebrate his performance by striking out 10 batters and recording two hits with Zack Greinke. On April 5, Tommy Pham set the Rays franchise record for 40 consecutive games reaching base safely, dating back to last season. Match Pham's performance from his record-setting day. After losing their first series to the Orioles, the Yankees went to Baltimore and got their revenge, mashing 14 home runs in a three-game sweep. As the Yankees, play one game against the Orioles, tallying eight runs with four home runs. Earn a Topps Now Pack Voucher for each of the Moments you complete in the set. 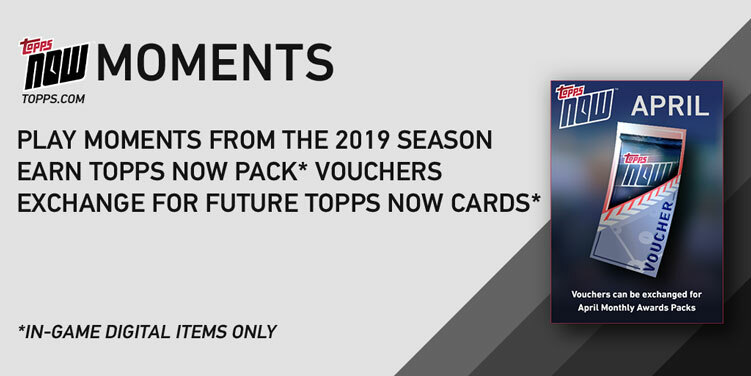 Those Vouchers can be exchanged for future Topps Now Flashback player items* coming in early May. 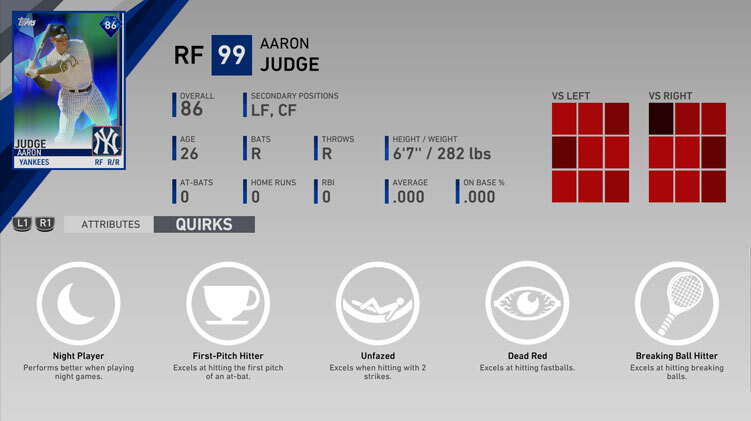 New 1st Inning Featured Program Moments showcase Player Quirks. Learn the ins-and-outs of MLB The Show’s Quirks system and how they can impact your decisions as you build your roster. With each Moment that you complete, earn Program Stars and, more importantly, learn about the different Quirks that exist and their benefits. ROSTER UPDATE: We will be updating player attributes for the first time in the April 19th Roster Update. 2ND INNING PROGRAM: Mark your calendar for the April 18th developer live stream at 3 pm PT to learn about the next Featured Program and the three new bosses! Follow Sony San Diego Studio on Twitch, Youtube and Facebook and turn on notifications to get an alert when we go live.